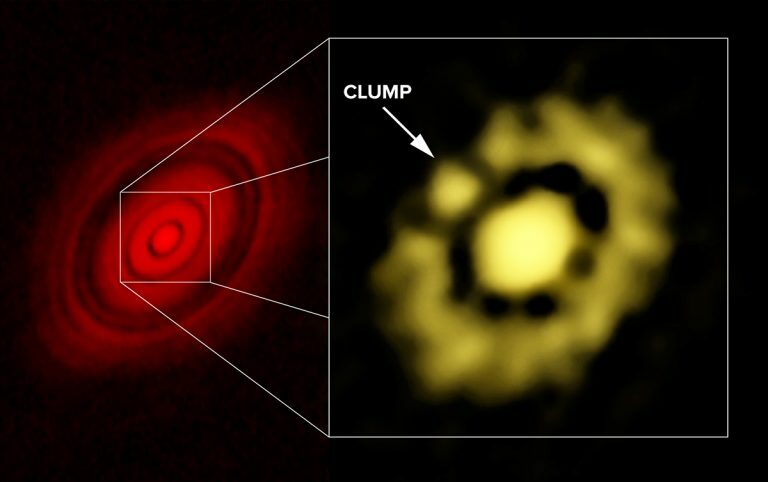 New images of a young star made with the Karl G. Jansky Very Large Array (VLA) reveal what scientists think may be the very earliest stages in the formation of planets. 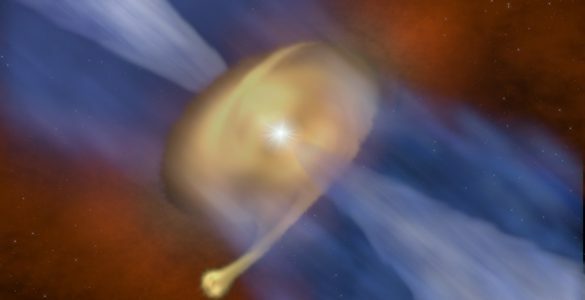 The scientists used the VLA to see unprecedented detail of the inner portion of a dusty disk surrounding the star, some 450 light-years from Earth. The star and its disk were studied in 2014 with the Atacama Large Millimeter/submillimeter Array (ALMA), which produced what astronomers then called the best image ever of planet formation in progress. 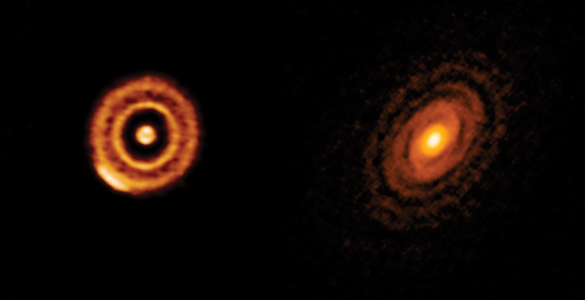 The ALMA image showed gaps in the disk, presumably caused by planet-like bodies sweeping out the dust along their orbits. This image, showing in real life what theorists had proposed for years, was surprising, however, because the star, called HL Tau, is only about a million years old — very young by stellar standards. 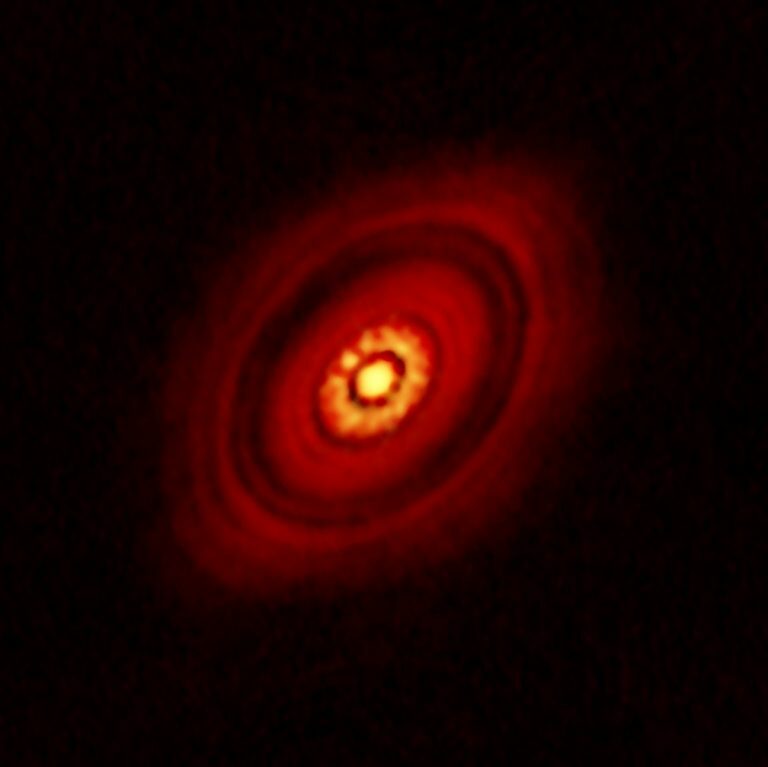 The ALMA image showed details of the system in the outer portions of the disk, but in the inner portions of the disk, nearest to the young star, the thicker dust is opaque to the short radio wavelengths received by ALMA. To study this region, astronomers turned to the VLA, which receives longer wavelengths. Their VLA images show that region better than any previous studies. 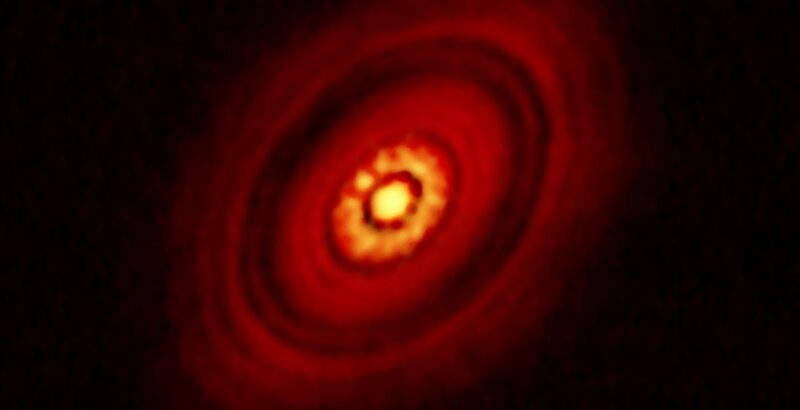 The new VLA images revealed a distinct clump of dust in the inner region of the disk. The clump, the scientists said, contains roughly 3 to 8 times the mass of the Earth. “We believe this clump of dust represents the earliest stage in the formation of protoplanets, and this is the first time we’ve seen that stage,” said Thomas Henning, of the Max Planck Institute for Astronomy (MPIA). “This is an important discovery, because we have not yet been able to observe most stages in the process of planet formation,” said Carlos Carrasco-Gonzalez from the Institute of Radio Astronomy and Astrophysics (IRyA) of the National Autonomous University of Mexico (UNAM). 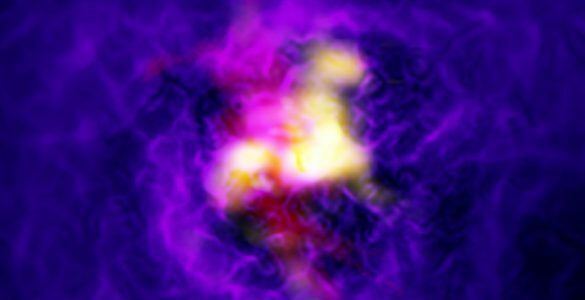 “This is quite different from the case of star formation, where, in different objects, we have seen stars in different stages of their life cycle. With planets, we haven’t been so fortunate, so getting a look at this very early stage in planet formation is extremely valuable,” he added. Analysis of the VLA data indicates that the inner region of the disk contains grains as large as one centimeter in diameter. This region, the scientists said, is presumably where Earth-like planets would form, as clumps of dust grow by pulling in material from their surroundings. Eventually, the clumps would gather enough mass to form solid bodies that would continue to grow into planets. The VLA observations, made in 2014 and 2015, received radio waves with a wavelength of 7 millimeters. The earlier ALMA observations of HL Tau were made at a wavelength of 1 millimeter. The VLA images showed a similar level of detail as the ALMA images. “These VLA observations are the most sensitive and show the most detail of any yet made of HL Tau’s disk at these longer wavelengths,” said Claire Chandler, of the National Radio Astronomy Observatory (NRAO). “The VLA’s ability to produce such high-quality images in this region is very important to advancing our understanding of these initial stages of planet formation,” Chandler added. The VLA study of HL Tau was an international collaboration, involving the UNAM, the MPIA, the NRAO, and the Spanish Consejo Superior de Investigaciones Cientificas (CSIC). The project leaders were Carlos Carrasco Gonzalez (UNAM) and Thomas Henning (MPIA). 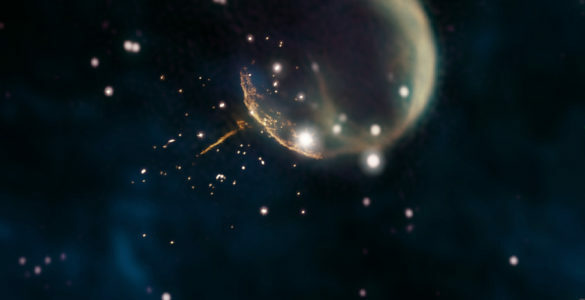 The scientists are reporting their findings in the Astrophysical Journal Letters. ALMA image of HL Tau at left; VLA image, showing clump of dust, at right.